Watching nanowires grow; X-ray light sources; crystallography. Using X-ray techniques, the University of Siegen and the Karlsruhe Institute of Technology (KIT) have observed the formation of tiny nanowires in gallium arsenide (GaAs) materials in real time. GaAs is used for fiber optics, infrared systems, RF devices in mobile phones and solar panels in spacecraft. Observing the growth of GaAs nanowires could lead to a better understanding of the growth process. It could also provide new approaches for specific applications, including the ability to improve the efficiency of solar cells or lasers. For this experiment, researchers used a third-generation synchrotron radiation source at the Deutsches Elektronen-Synchrotron (DESY). The source, dubbed PETRA III, is a storage ring with a circumference of 2.3 km. In the lab, researchers fabricated the wires on GaAs. They used a technique called the self-catalyzed vapor-liquid-solid (VLS) method. In the flow, tiny droplets of liquid gallium are deposited on a silicon crystal at 600 degrees Celsius. Then, beams of gallium atoms and arsenic molecules hit the wafer. Then, crystalline nanowires begin to form below the droplets. The gallium droplets act as catalysts. Researchers observed the growth in real time using a metrology instrument at the PETRA III. Images were taken at one-minute intervals. In addition, they measured the nanowires using a scanning electron microscope (SEM). In the process, the wires grew to a length of 4000 nanometers over a period of about four hours. The diameters of the wires increased from an initial 20nm to up to 140nm at the top of the wire. SEM view of the fully grown nanowires. “Although this process is already quite well established, it has not been possible until now to specifically control the crystal structure of the nanowires produced by it. To achieve this, we first need to understand the details of how the wires grow,” said Ludwig Feigl, a researcher from KIT. “We found out that the growth of the nanowires is not only due to the VLS mechanism but that a second component also contributes, which we were able to observe and quantify for the first time in this experiment. This additional sidewall growth lets the wires gain width,” added Philipp Schroth of the University of Siegen. The second X-ray light source has moved into operation at the European XFEL, the world’s largest X-ray laser. Located in Hamburg, Germany, the so-called SASE3 produced X-ray laser light flashes in one of the underground tunnels at the facility. SASE3 will be used for two experiment metrology stations at the facility. It will be available for users at the end of the year. SASE3 is one of currently three undulator systems at the European XFEL. 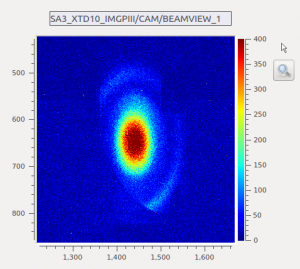 SASE1 produced the first X-ray light at the facility in May of 2017. Now, SASE3 is moving into operation, followed by the SASE2 light source in mid-2018. SASE1 and SASE2 are 200 meters long and produce short-wavelength X-ray light. SASE3, which sits behind SASE1, is 120 meter long and produces longer-wavelength X-ray light. SASE3 will provide X-ray light for two experimental metrology stations–SQS and SCS. The SQS instrument (small quantum system) will be used for the study of fundamental processes. This includes how chemical bonds break in molecules. Meanwhile, the SCS instrument (spectroscopy and coherent scattering) will focus on the investigation of changes in material properties. The research at these two stations can be used in the fields of IT, medicine, energy research and catalysts. The European Synchrotron Radiation Facility (ESRF) has developed a new system for use in studying the crystallographic features in various structures. The system, dubbed ID23-EH2, is a dedicated beamline and instrument at the ESRF. Located in Grenoble, France, the organization is an international cooperation with 22 partner nations. It boasts one of the world’s most intense X-ray sources for use in various experiments. These X-rays are produced by the high-energy electrons in a storage ring with a circumference of 844 meters. ESRF has 43 specialized beamlines, each equipped with instrumentation. The new ID23-EH2 has a beamline less than 10µm in diameter. It performs experiments in the field of serial crystallography. Serial macromolecular crystallography is a technique that permits the assembly of complete datasets. It combines single diffraction patterns from hundreds or thousands of microcrystals. It makes use of a diffractometer that can scan through samples quickly.